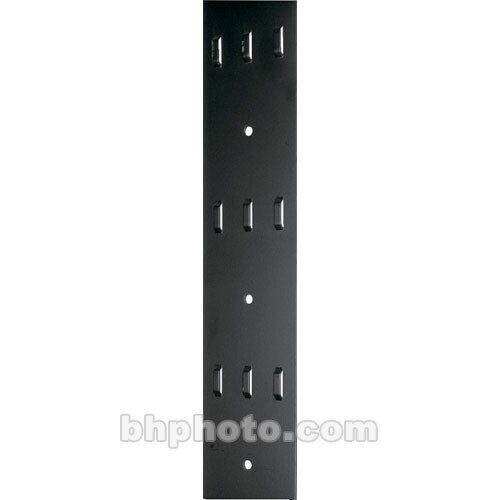 The Middle Atlantic LACE-44LP 44 Space 3.25" Wide Vertical Lacer Strip (6-Pack) mounts vertically to rackrail brackets for effective cable management. Highly perforated, the LACE-44LP provides ample holes for cable ties. Provides for effective cable management and cable strain relief. Features generous bridge lances for hook and loop cable fasteners. Adjusts to fit within any Middle Atlantic Products enclosure. Can easily be cut down to smaller sizes. Box Dimensions (LxWxH) 83.0 x 6.0 x 6.0"